How Can I Verify My Facebook Pixel Is Firing? 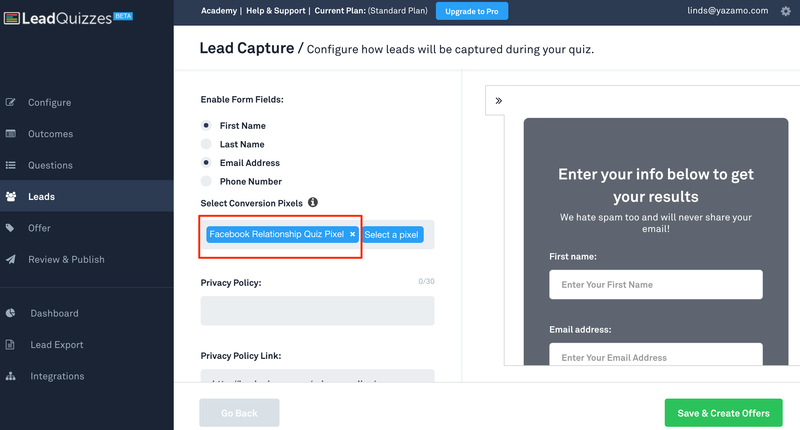 Verify your Facebook Pixel is working correctly before you start running advertising. To verify your Facebook Pixel is working correctly follow the steps below. 3. 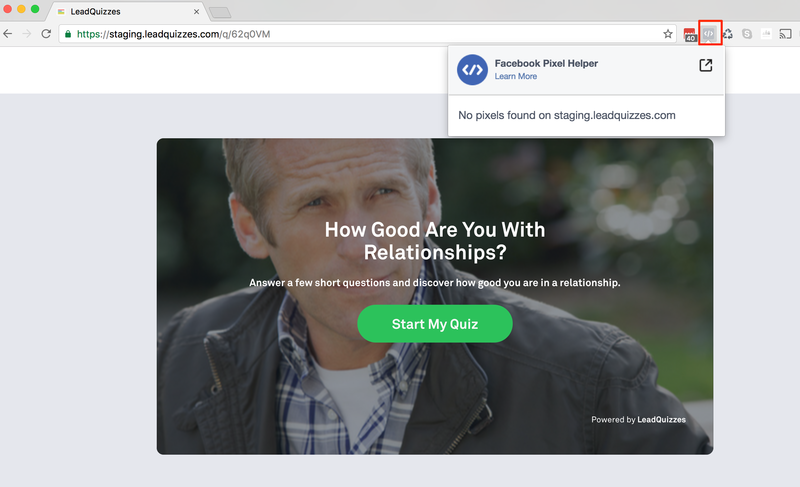 Open your quiz with the quiz.leadquizzes.com URL in a Google Chrome browser where the Facebook Pixel Helper extension is added. 4. 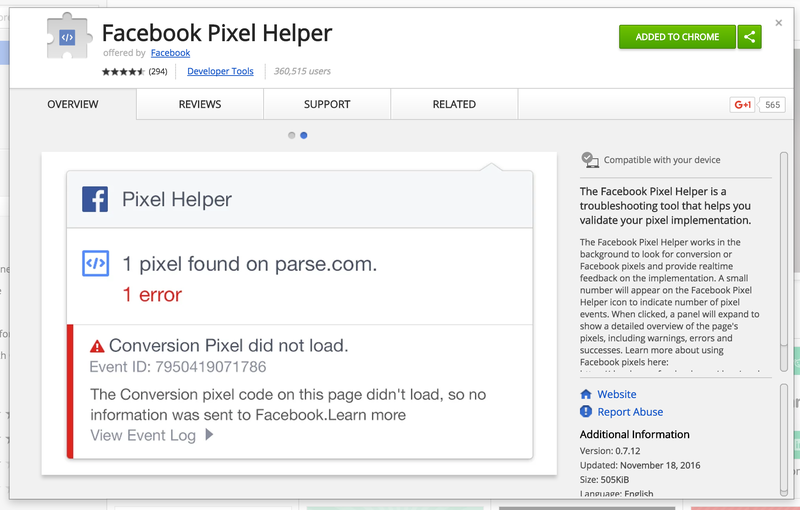 Check to make sure that the pixel helper has not detected any pixels yet, by clicking on the Facebook Pixel Helper image on the browser as shown below. It should be grey in color and should say "No pixels found on the quiz page"
5. 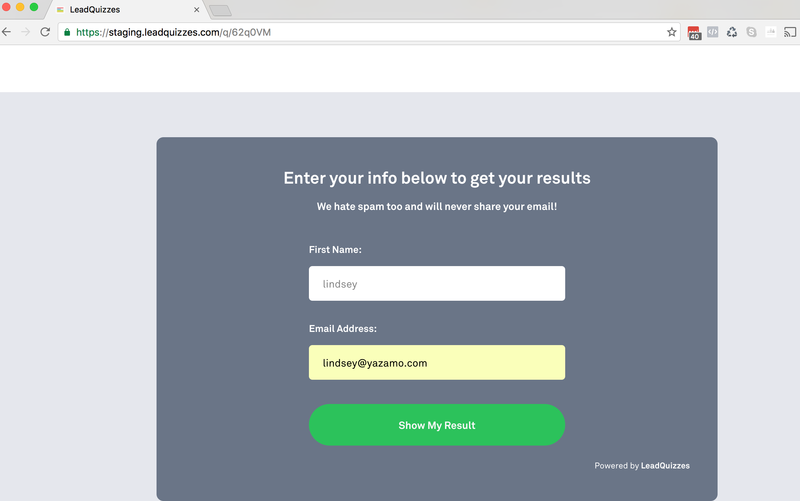 Click through the quiz and opt in at the end. 6. After you opt in your should see that the Facebook Pixel has fired. You will see a 1 next to the Pixel Helper at the top and the color will change from grey to blue. As seen below.